The CD (Compact Disc) was created in 1979 by a joint task force of engineers from Sony and Philips. It began to be commercially available in 1982, in USA. In Brazil, the first album released was in April 9th, 1986, with the title Nara Leão - Garota de Ipanema. 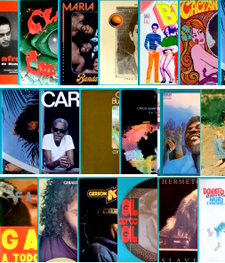 We from Brazilcult.com are always pleased to offer Rare Music CDs, Hard-to-find Independent or Private Pressings CDs, Special Limited Edition Rarities, Scarce New & Used Audio CDs of Brazilian Music & World Music. Our main focus is BRAZILian CULTure. Be welcome to Brazilcult.com Music & Art Shop!